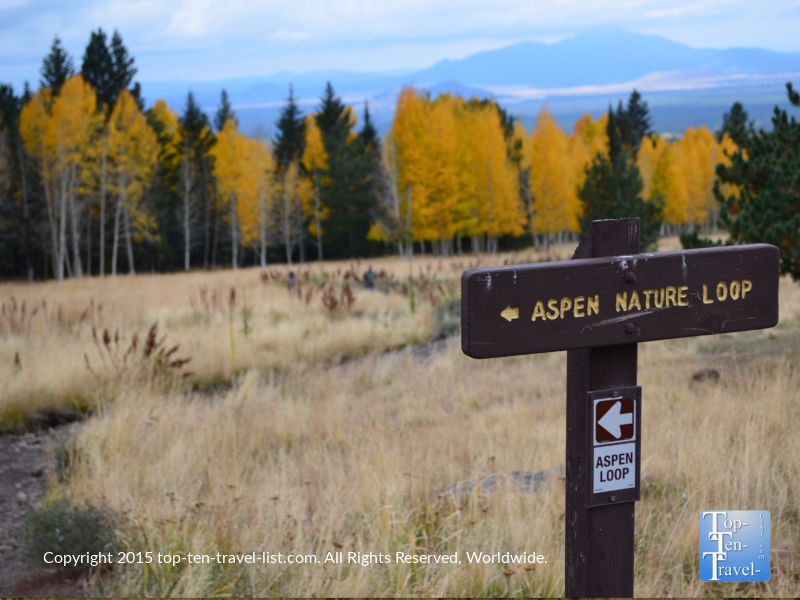 A Relaxing, Colorful Fall Stroll Along the Aspen Nature Loop - Top Ten Travel Blog | Our experiences traveling throughout the US. The Aspen Nature Loop is one of 3 hiking trails, all varying in intensity and scenery, located at the Flagstaff, Arizona Snowbowl, a popular winter skiing and summertime hiking destination. Each year, around mid to late October, these trails are filled with the vibrant yellow hues of the Northern Arizona fall season. 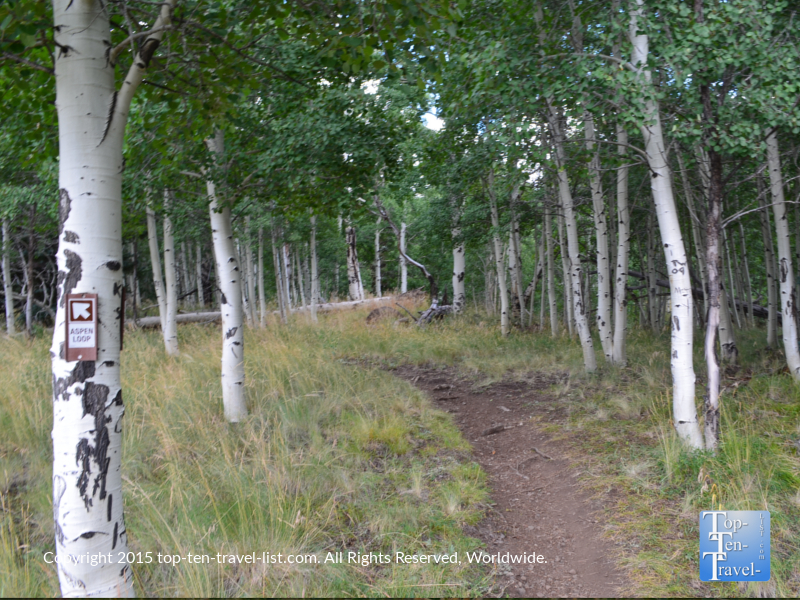 The Aspen Nature Loop, in particular, is the perfect choice due to the many groves of aspens lining the trail. Because the trail is so short (approximately 1.8 miles round trip) and easy (just one tiny steep section and the rest is completely flat), you can easily plan several hikes here over the course of season, experiencing the dramatic change in color as the aspens go from bright green to a beautiful golden hue. 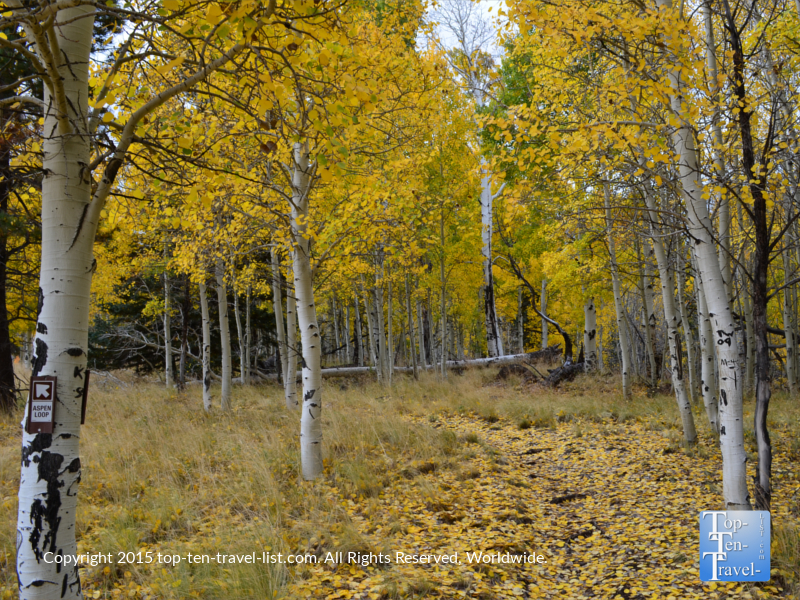 The beginning and end of the trail features the best leaf peeping opportunities due to the dense aspen groves. In addition to the fall foliage, the mountain and meadow views are also spectacular. 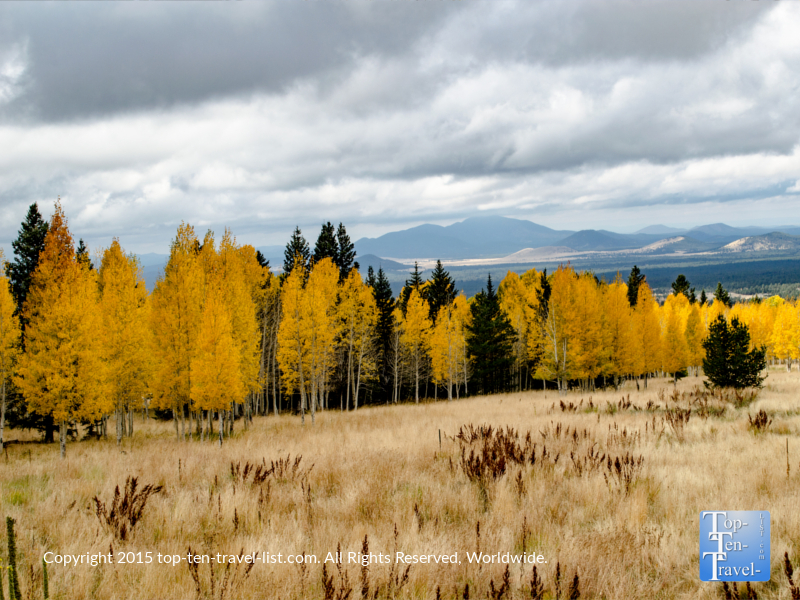 The aspens surrounding the mountains makes for some really great fall photos – so be sure to bring your camera! The middle of the trail takes you through ponderosa pines, not as exciting as the fall colors, although the views are still beautiful. 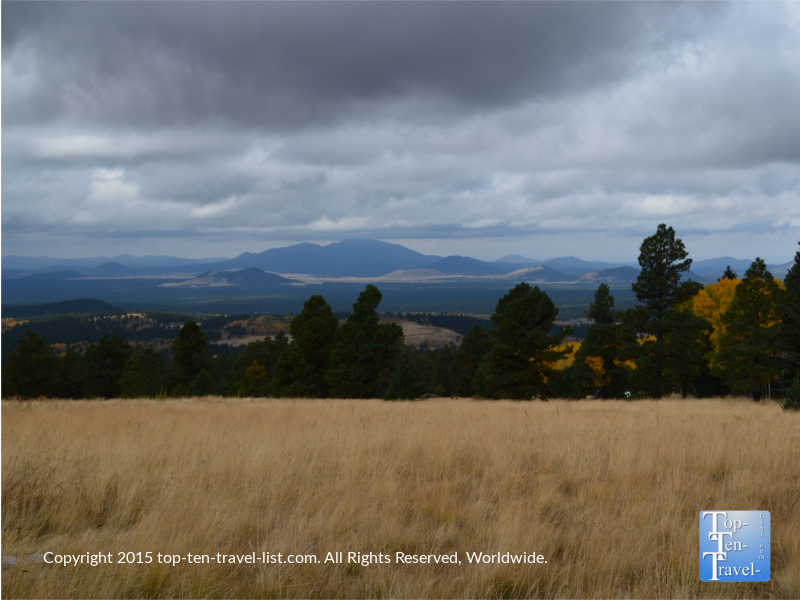 Flagstaff is located in the largest contiguous ponderosa pine forest in the world. 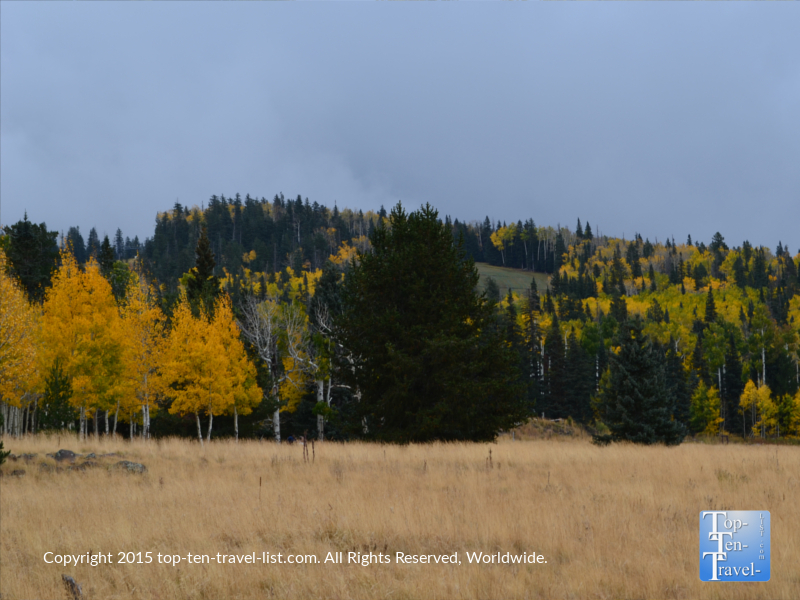 The ponderosa grows at elevations of 6000-8000 feet, making Flagstaff the ideal setting for these pretty trees. The Cococino County National Forest, which surrounds Flagstaff and Sedona, is home to many wonderful trails including this gorgeous Aspen Nature Loop. 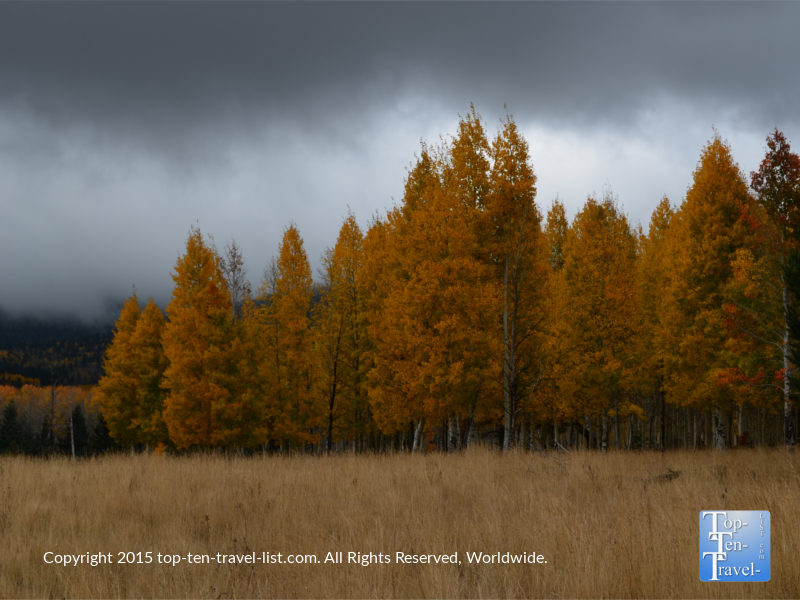 Aspen trees are known for their characteristic white bark, the beautiful golden hue that their leaves turn during the fall season, and the soft fluttering “quaking” sound that they make in the wind. You can find these beautiful trees throughout the country, although in the West they are typically found in areas with an elevation of 5000-10000 feet. 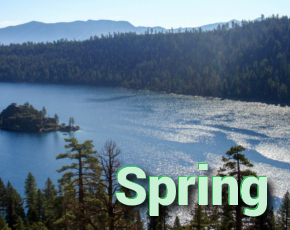 This time of the year in Flagstaff, you can expect cooler temperatures in the 50’s and 60’s. The temperature is usually at least 10 degrees cooler at Snowbowl than in town, due to the high elevation (over 8000 ft). So be sure to dress in layers (it can feel cold but you might warm up quickly as you get moving) and take it easy if you are not used to the altitude. Generally the Aspen Loop does not get overly crowded. You will see a good number of people here on fall weekends due to the beautiful fall foliage (a real rarity in Arizona), however, it is never too crowded that you miss out on a peaceful hiking experience. Even better, if you visit on a weekday, you will feel as if you have the entire trail to yourself. The drive up Snowbowl Road is quite scenic in itself. 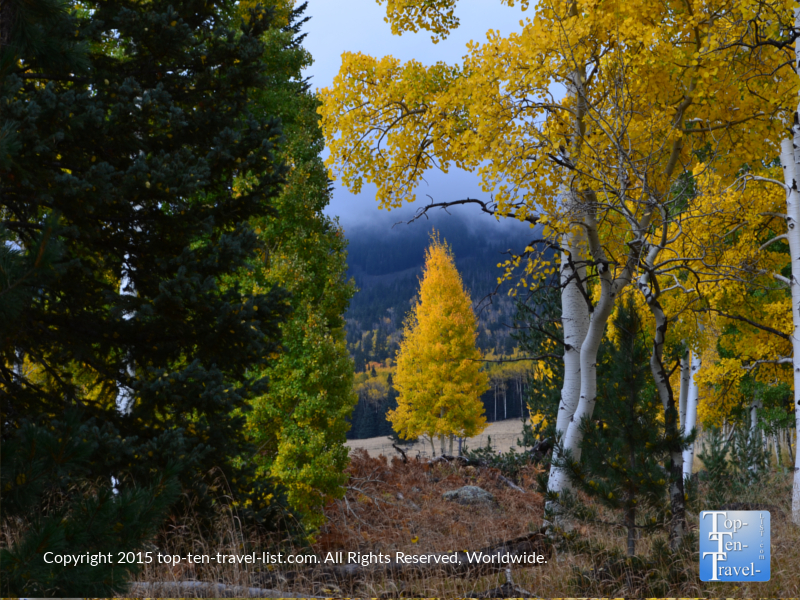 You will see a lovely mix of both pines and aspens, which stand out beautifully from the pines during the fall. 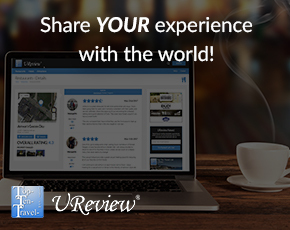 It’s slow drive uphill, but the picturesque views are more than worthy of the drive. 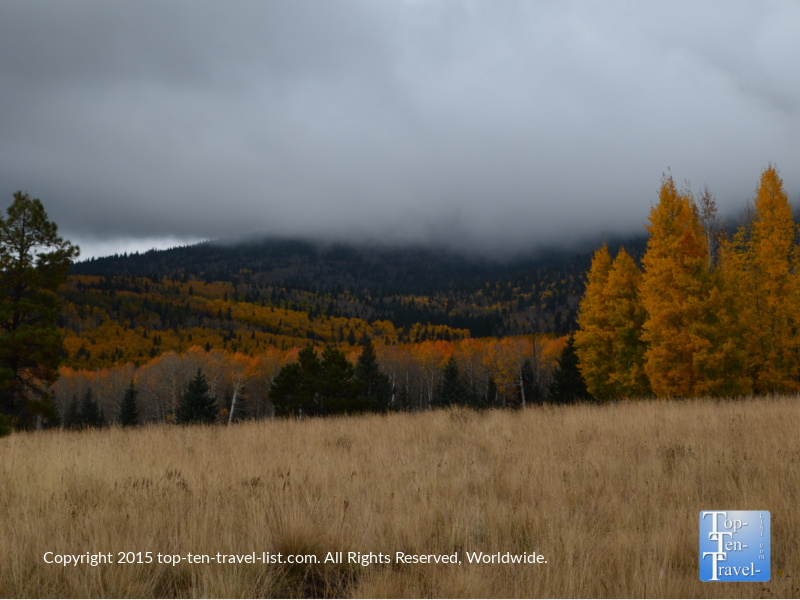 Overall, the drive to the trail and the hike itself is a must do fall activity for both Flagstaff locals and residents. Flagstaff is known for having the nicest fall season in Arizona, complete with cool temperatures, plenty of outdoor recreational opportunities, and the most beautiful fall colors found in the state (which can be found both throughout town and on the various trails). 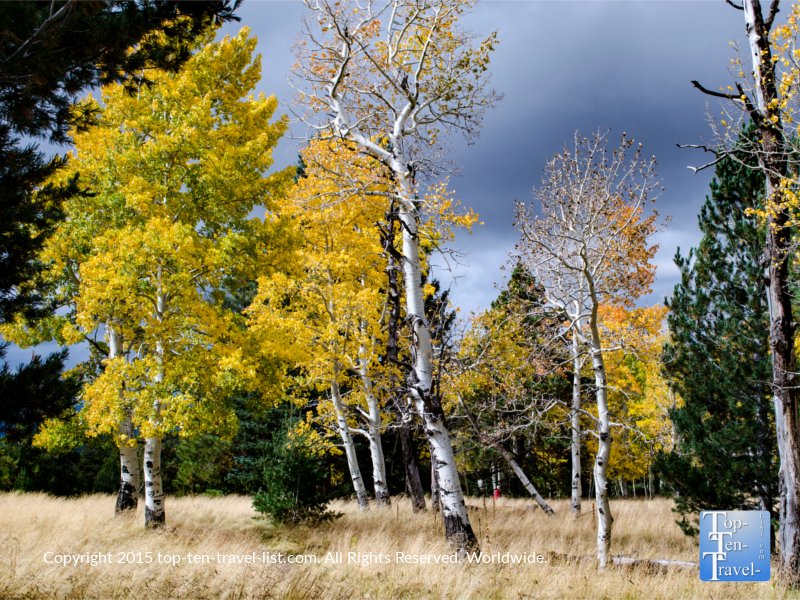 For Arizona and Southwest residents, Flagstaff is about as good as it gets in terms of fantastic fall getaways, and the Aspen Nature Loop trail is definitely a hike to add to your fall itinerary. 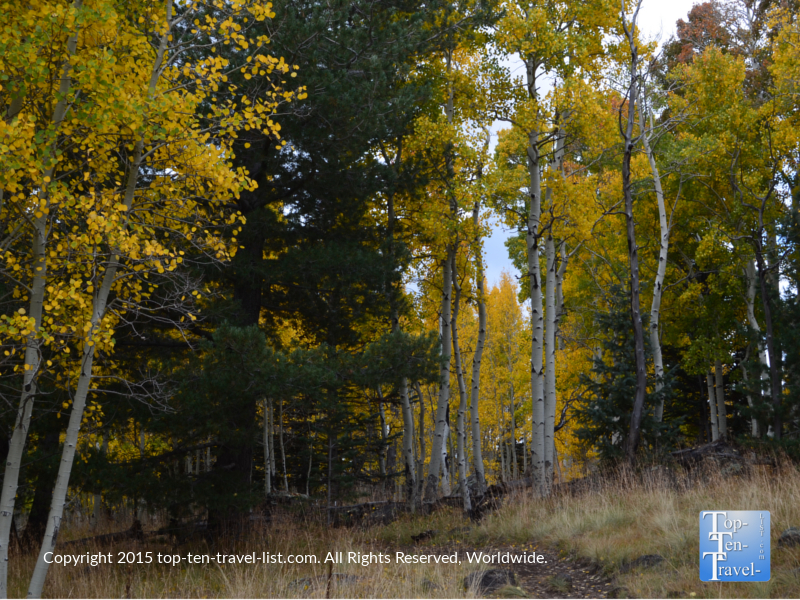 The Aspen Nature Loop is located north of Flagstaff on US 180 seven miles and seven miles up Snowbowl Road. There is a large parking lot with no fee to park. Portable toilets are avaialble. Picnic tables are also on site. Best time for fall colors: Typically mid-late October. Check the Flagstaff Leaf O Meter for seasonal updates.